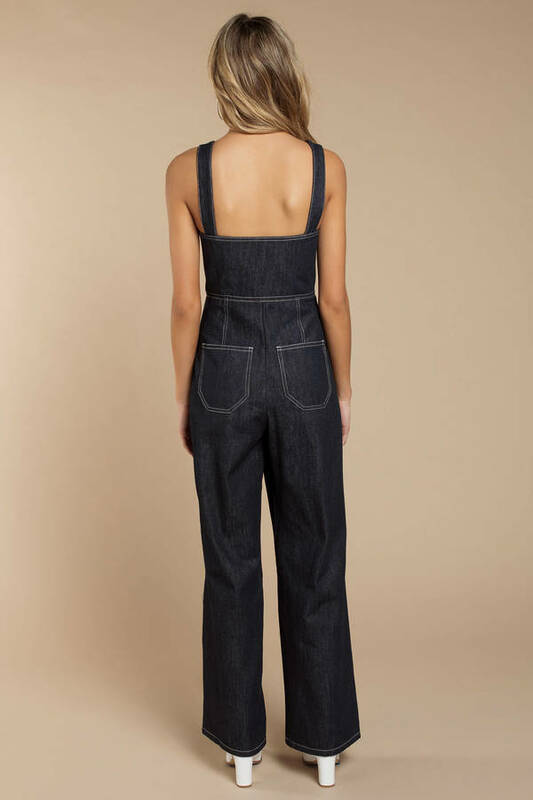 Check out Tobi's Simon Denim Jumpsuit You're all that in Capulet's Simon Dark Wash Denim Jumpsuit. Go wild for this flare leg jumpsuit, featuring a square neckline, fitted bodice, shoulder straps, an O-ring zipper front, wide legs, and dark wash denim. 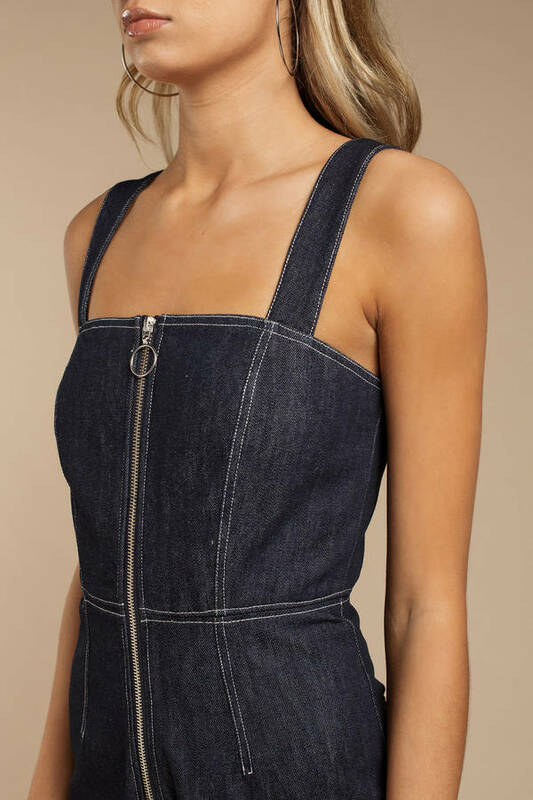 Wear as is or pair this jean jumpsuit with a mock neck top underneath. You're all that in Capulet's Simon Dark Wash Denim Jumpsuit. Go wild for this flare leg jumpsuit, featuring a square neckline, fitted bodice, shoulder straps, an O-ring zipper front, wide legs, and dark wash denim. Wear as is or pair this jean jumpsuit with a mock neck top underneath.